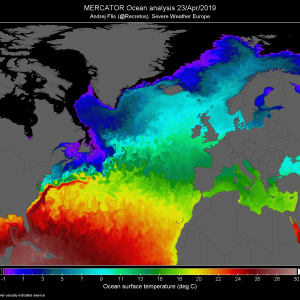 An extensive ridge over south-central Europe gradually weakening while deep trough is placed across N Europe where another deep cyclone ejects from N Atlantic towards Scandinavia. Several small upper lows will also be the focus for some severe weather activity or at least convection, one W of Gibraltar, second one across far S Mediterranean, third over E Turkey and the 4th across E Europe. 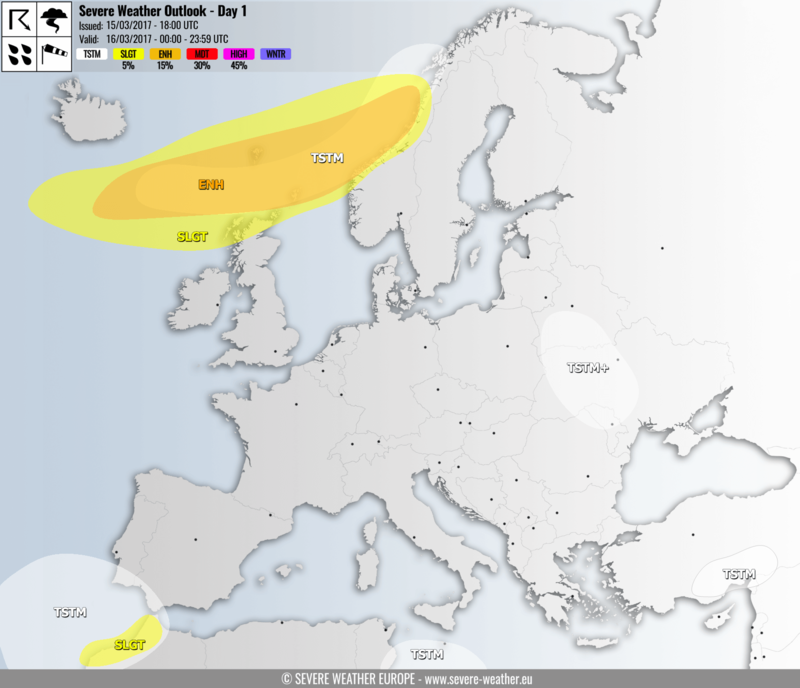 ENH/SLGT risks have been issued for N Atlantic across N Scotland, Faroe islands into W Norway with threat for severe to extremely severe wind gusts, locally in excess of 130 km/h. 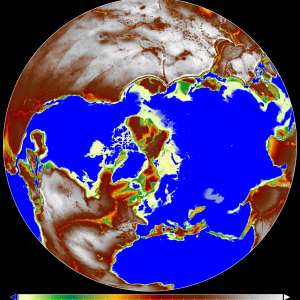 A deep cyclone travels from S of Iceland towards Norway and brings isolated storms within very cold maritime airmass as well. Mostly graupel showers are expect together with high winds. 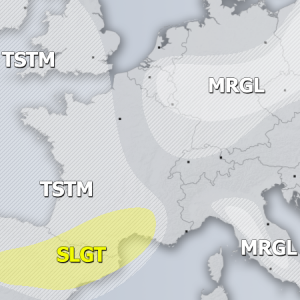 A SLGT risk has been issued for NW Morocco with threat for isolated slow moving severe storms, capable of producing large hail, severe winds and heavy rainfall. 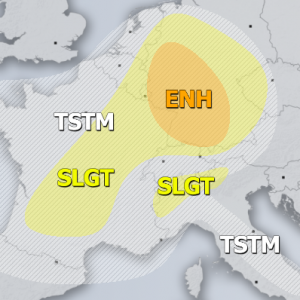 A TSTM+ risk has been issued for parts of Europe with threat for better organized storms asociated with fast moving short wave across the region. Limited instability precludes SLGT risk threat level. Isolated sub-severe storms expected across the TSTM areas.